Get creative outdoors with magical wands, crowns, fairy houses & mini herb gardens. Mystical fun for kids with storytelling, campfire treats and plenty of nature inspired crafts! Get creative outdoors with magical wands, crowns and fairy houses in the magical woodland. Mystical fun for kids with storytelling, campfire treats and plenty of nature inspired crafts! 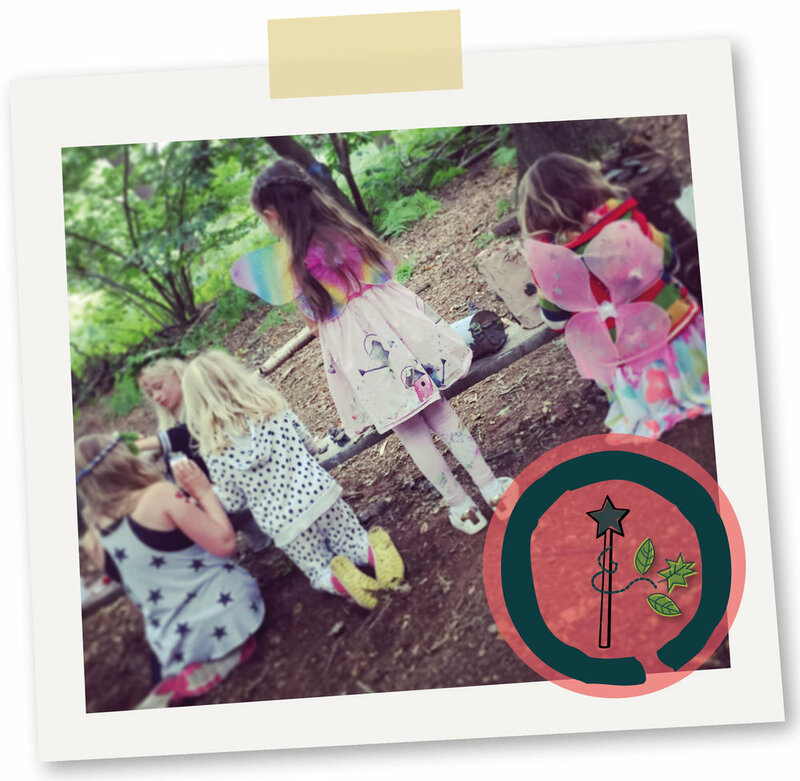 Depending on the age and size of group, choose from a range of magical woodland crafts and storytelling for a creative and sparkly party! Suitable for: 5 Years +. Prices: £185 for up to 15 children, extra children charged at £10 per head.